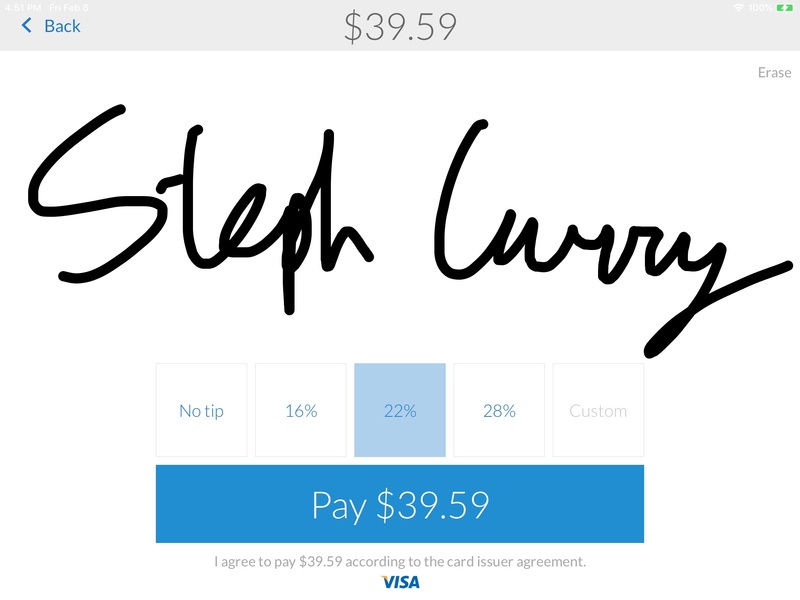 Instore allows you to accept tips in several ways. 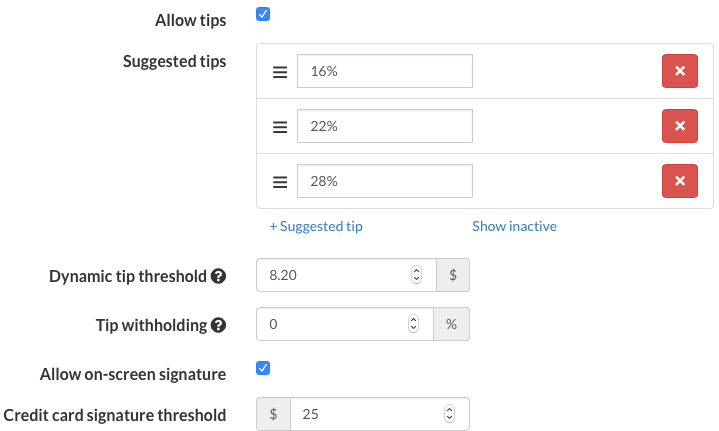 Note that you can turn tipping on or off, customize tips amounts, set a tip withholding percentage to cover processing fees, and enable on-screen signature (vs. paper) under Settings/Locations. Make sure Allow on-screen signature is checked under Location Settings. You can pick a signature threshold below which no signature is required. To accept tips on screen, after swiping the credit card, flip or swivel the iPad to face the customer. The customer selects the amount of tip, either by touching one of the suggested tip amounts or typing in the custom tip box. The customer can then sign his or her name on the screen in the signature box and touch Pay. Instore will store these digital signatures indefinitely. Make sure Allow on-screen signature is un-checked under Location Settings. 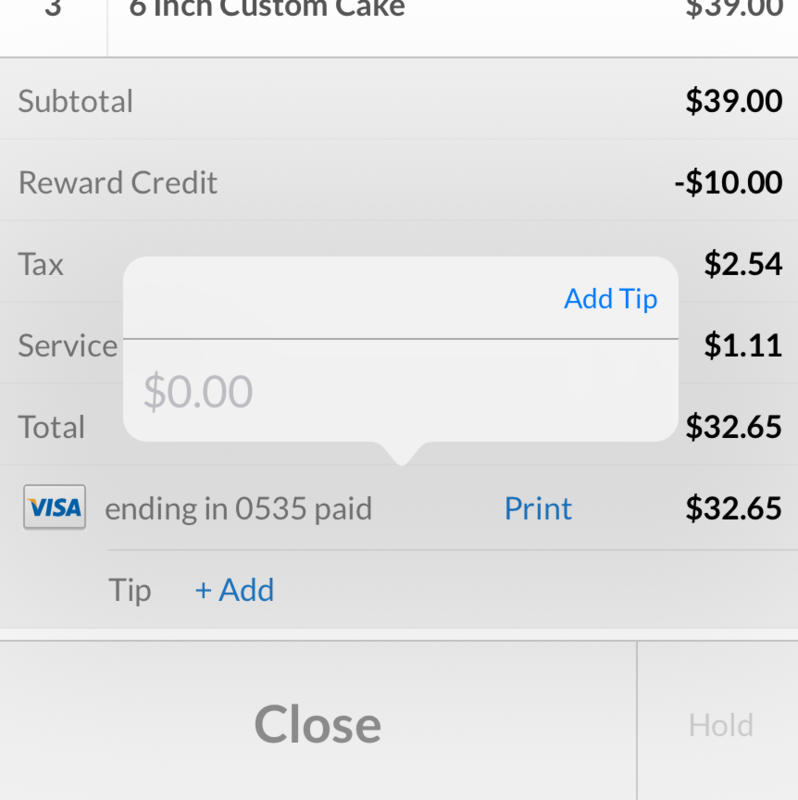 If you have suggested tip amounts, we’ll print those suggestions on your receipts. Swipe a credit card for all or part of the order, then print a receipt and hand it to the customer. To enter the paper tip, find the Paid order on the Orders tab on Instore, open it, then touch the + Add button and enter the tip amount. Touch Add Tip then Confirm. This may require an employee PIN if tips are PIN-protected.